Alexandria Ocasio-Cortez reveals “How Business is Done” in Washington, D.C. In 2010, the Citizens United decision by the US Supreme Court, opened the door for anonymous and unlimited election spending by corporations: and by the wealthy people who own them. For nearly a decade, this unlimited money has been funneled through super PACs: Political Action Committees which distribute millions (even billions) of dollars to “cooperative” US senators, congresspersons, governors and state legislators throughout the country. Last week, Congresswoman Alexandria Ocasio-Cortez pulled the curtain on this scheme…in a way that our entire nation could understand. This is one of AOC’s unique and powerful gifts: like Norma Rae, Ana Maria Polo, and Jimmy Stewart in Mr. Smith Goes to Washington, she speaks simply and directly…in terms that everyone can understand and identify with. Citizens United is being applied cynically and aggressively in Puerto Rico. The island needs to see the immensity, and the urgency, of what AOC has just dramatized for them. Three cheers for AOC…Congresswoman Alexandria Ocasio-Cortez, a gladiator in the US Congress. 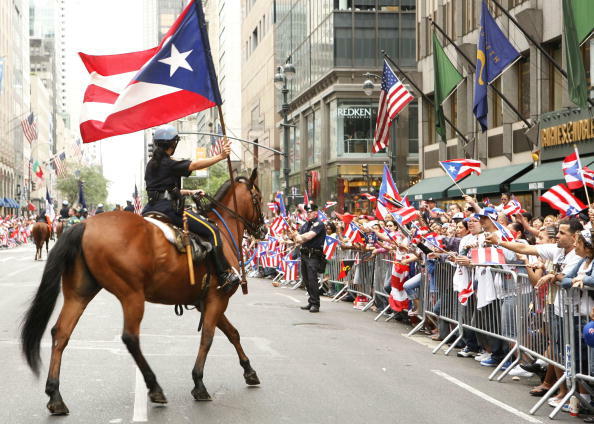 The Puerto Rican Day Parade has a dark secret. It has nothing to do with celebrities, rich corporations, or slick politicians. Seventy years ago, Boricuas were given the worst jobs and housing in New York City. They were also beaten by their neighbors and the NYPD. And yet in 1958, some brave Boricuas dared to hold a humble parade where they could march with pride, arm-in-arm, through the heart of Manhattan. Mothers clapped their hands…to the bombas and plenas of their childhood. Fathers schooled their children…explaining the floats dedicated to Puerto Rican towns known for sugar cane, tobacco, coffee, pineapples and plantains. The Puerto Rican pride spread rapidly. 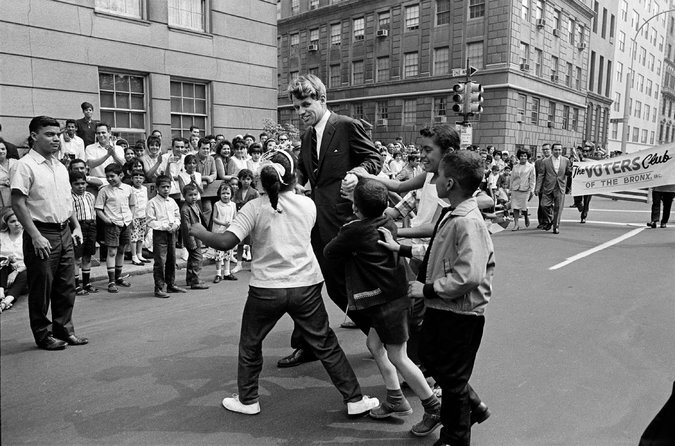 By 1966, the parade was already a “must do” event for politicians and celebrities. Today, the parade is a celebrity spectacle with 2 million spectators, 100,000 marchers, and a stampede of corporate sponsors. Rita Moreno, Ricky Martin, Jennifer Lopez, Marc Anthony, Hillary Clinton and Mayor De Blasio have all “starred” in it. A secret that reaches into the heart of every Puerto Rican, without their even knowing it. It is the secret of the Puerto Rican flag. 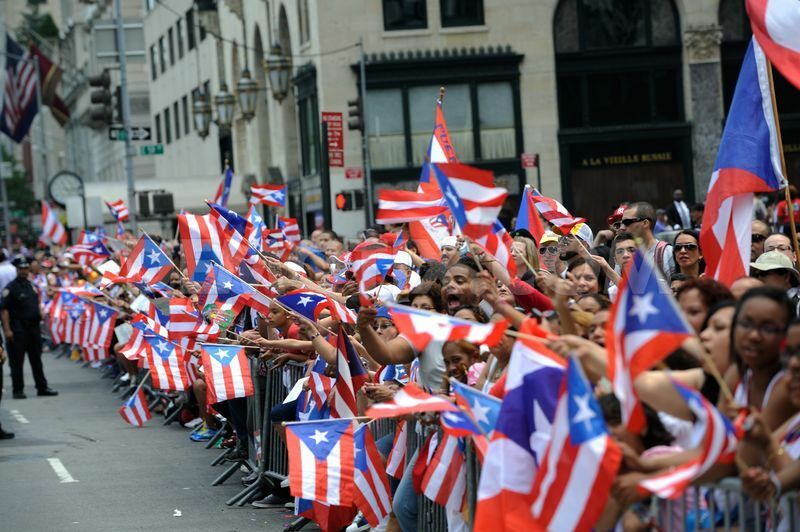 Have you ever noticed the wild, uncontrollable, impassioned display of flags at every Puerto Rican Day Parade? No matter where you look…it is a tidal wave of flags! There is a deep reason for this emotional attachment. There is a reason why Que Bonita Bandera and Preciosa bring tears to our eyes…and sometimes we don’t even know why. It is because this flag represents an ideal…the ideal of lost youth and forgotten illusions…just like last night’s dream, or tomorrow’s TV advertisement. But there is one more reason, why this flag is the emotional heart of the parade. It is the secret which explains everything. We adore our flag because for many years, any Puerto Rican who owned one, would go to jail for ten years. For many years, the United States wanted only one flag in Puerto Rico. Pedro Albizu Campos refused to salute this flag. In order to crush Don Pedro and the Nationalist movement, a law was passed in 1948, right after Don Pedro got out of jail. It was called Public Law 53, and also known as La Ley de la Mordaza…the Gag Law. Law 53 made it a felony to sing a song, whistle a tune, or utter one word against the US government, or in favor of Puerto Rican independence. This included singing La Borinqueña, or owning a Puerto Rican flag. Own a flag…ten years in jail. Every day, the FBI and Insular Police raided people’s homes, searched for flags, and hauled Puerto Ricans off to jail. They did it all over the island. In November 1950, they arrested 3,000 Puerto Ricans within one week! Some of them were only eight years old. In many cases the flag – all by itself – was the sole piece of evidence. The Gag Law violated the US constitution. But it took nine years to repeal it, in 1957. The very next year, in 1958, the first Puerto Rican Day Parade was held in New York City. The Puerto Rican flags and celebration were everywhere…the passion was astonishing…New York had never seen anything like it! The Puerto Rican Day parade exploded into New York City, with the emotion and power of an entire people…that had finally found a voice…for one day…on Fifth Avenue. That much they did understand. The parade was born in the hearts of an entire nation…where everyone was declared a criminal… if they dared to show their flag. And now for one beautiful day, through the heart of New York City, we show that flag to the whole world. 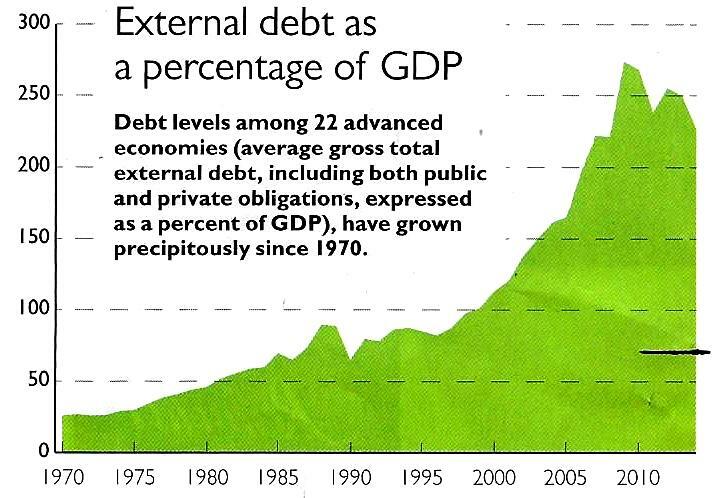 Let them throw a Financial Control Board at us. And that is why we will win. ¡ QUE VIVA PUERTO RICO ! After five years of research and advocacy, there is finally some movement on the Jones Act. Until recently, the vast majority of the American public – including the press, elected officials, academics, union officials and business leaders – had no clue about Section 27 of the Merchant Marine Act of 1920, aka the Jones Act, and its destruction of the Puerto Rican economy. Even today, many readers confuse it with the 1917 Jones-Shafroth Act – which imposed US citizenship on Puerto Ricans, and drafted them into WWI. Other individuals, some of them self-interested, have claimed that Jones Act reform will “hurt maritime workers” or “eliminate union protections,” which is simply untrue. For many years, I waged a nearly one-man battle against this ignorance. I knew that many corporate interests had a well-funded program in place, to perpetuate this level of national ignorance and confusion with respect to the Jones Act in Puerto Rico. It was a corporate smokescreen of the highest order, with Citizens United money – i.e., 501(c)(4) “dark money” organizations – behind it. The only way to confront this was head-on. For three years I submitted an editorial to the New York Times. Finally after Hurricane Maria hit, they decided to run it on September 25, 2017. It received so many views that, two days later, they translated and ran it again, in Spanish. Over the next three days (Sept. 25-28) the op ed was analyzed and adopted in the Washington Post, Wall Street Journal, New York Daily News, Los Angeles Times, Chicago Tribune, Bloomberg News, Reuters, Time Magazine, Newsweek Magazine, and The Atlantic. During those same three days, the media carried the “Jones Act Story” on NBC News, CBS News, ABC News, CNN, NPR, PBS, WNYC and New York 1. After years of explaining and struggling against the Jones Act, the world finally began to see how this one law was strangling the economy of Puerto Rico: for nearly a century, since 1920. Politically and tactically, Trump’s ten-day waiver was a successful move. It didn’t accomplish anything for Puerto Rico – but it took the steam out of the Jones Act story, and enabled other headlines to dominate the news cycle. By the end of those ten days, the press had moved on to other subjects: most notably, Trump’s tossing of paper towels to a roomful of reporters in San Juan. We therefore went into organizing mode: coordinating with Misión Boricua in Orlando, and Respect and Justice for Puerto Rico in New York, to organize the state of Florida for a “March on Jacksonville.” Adela López and Zoraida Rios Andino in Orlando; and Julio Pabon, Emilio Morante and Eduardo Rosario in New York, have all been vital in this effort. And then the cavalry arrived: on May 10, 2018, the New York City Bar Association demanded a permanent Jones Act repeal for Puerto Rico. The NYC Bar Association is a major national presence: with 24,000 members, it is one of the premier lawyers’ organizations in the US. With a detailed press release and 15-page report, they are calling for immediate action by the US Congress, in regard to this Jones Act relief. This is no small matter. On September 27, 2017, two days after the NY Times editorial, the NYC Bar Association sent a letter to the Dept. of Homeland Security urging a suspension of the Jones Act in Puerto Rico. The very next day, Pres. Trump announced his 10-day waiver. Now in May 2018, the Bar Association’s report is even more detailed. It lists two dozen members of Congress, from both parties, who support exempting Puerto Rico from the requirements of the Jones Act. It cites a petition “to waive the Jones Act for Puerto Rico” that gathered half a million signatures in just five days. It notes that repealing the Jones Act’s restrictions on Puerto Rico would not harm national security, or cost anything to U.S. taxpayers, or reduce the union protections to any maritime workers. It notes that shipping companies use the Jones Act to create illegal price-fixing schemes, and illegal antitrust conspiracies, to maximize the profit from their captive captive market in Puerto Rico. We salute the NYC Bar Association for their courage and leadership on behalf of Puerto Rico. We extend our thanks to John S. Kiernan (President), Roger Juan Maldonado (Chairman of the Task Force on Puerto Rico) and Neysa Alsina (In-house Counsel) for their steadfast advocacy, and detailed research, on the Jones Act issue. If at all possible, we also encourage them to challenge the 12.5% export tax that was recently slapped on Puerto Rico, as an alleged “foreign tax” jurisdiction. This 12.5% tax was thrown at the island after Hurricane Maria, as part of the GOP tax plan. 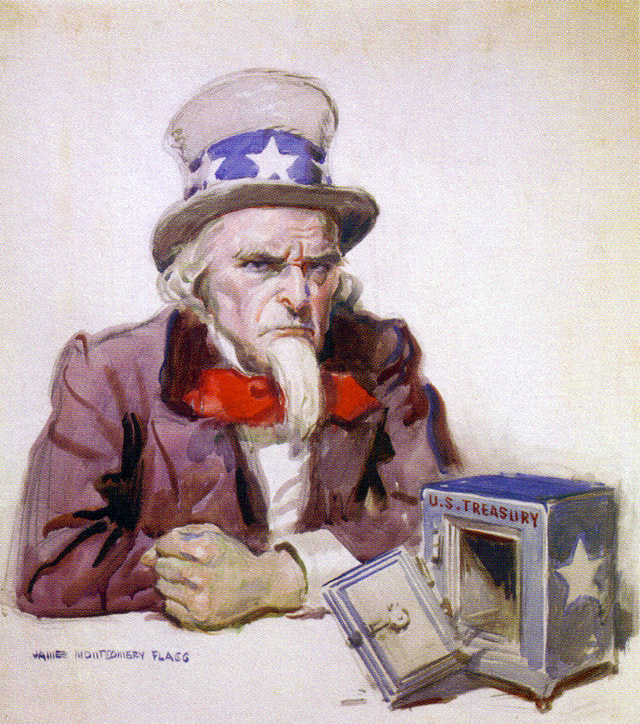 In view of its horrific timing, demonstrable and immediate damage to the island, and clear conflict with the 2016 Supreme Court decision that Puerto Rico is a “territorial possession” of the US (i.e., not a foreign jurisdiction) this 12.5% export tax is arbitrary and capricious in its application to Puerto Rico, and clearly subject to Article 78 relief. This week, NBC News reported on a new film called Make America Great Again. Starring Angel “Chi Chi” Salazar (Scarface, 1983) it tells the story of Rogelio Yola, who arrives in New York City in search of the American dream. But instead he finds a nightmare, when he is accused of being a “Dominican terrorist” and chased by ICE agents all over Washington Heights. The issue of ICE arrests and deportation is very personal to Denis. His own father was a supporter of Fidel Castro. Two weeks after the Cuban Missile Crisis of 1962, the FBI knocked on his door at 3 a.m. They grabbed his father and deported him to Cuba. Denis was eight years old at the time. He never saw his father again.